This week on the blog we’re featuring Tamara Jones, an Alberta Appointed Marriage Commissioner in the Calgary area. Tamara has performed over 3,000 marriage ceremonies and is known in the wedding industry for her exceptional service and light-hearted approach. 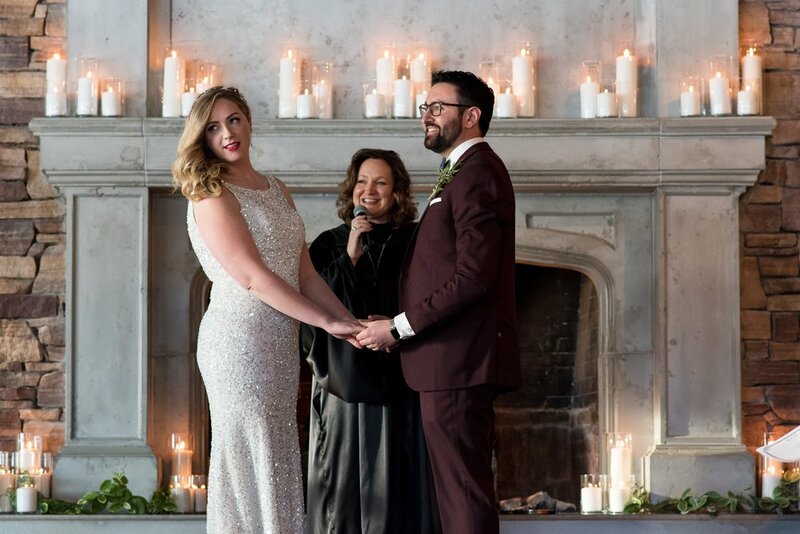 While it’s important to honour the formalities of a marriage ceremony, Tamara puts clients at ease, ensuring they enjoy this special experience! JR: Tell us about your business. How did you get started in the wedding industry as a marriage commissioner? T: When my husband I got married 14 years ago, we decided to hire a marriage commissioner, but had no idea how to find one! Everyone recommended calling Nomi Whalen, a respected commissioner in the area, but unfortunately, she was booked. We ended up with a lovely officiant, but the ceremony itself was stuffy, formal and made me quite anxious. I didn’t feel a connection, and that’s when I had a “light bulb” moment – this was something I could do for a living! So I went for it, and Nomi actually became my mentor, which I was very grateful for. JR: You've performed over 3,000 wedding ceremonies! Are there any memorable ceremonies that really stick out? T: One time I officiated for a couple during a Calgary Flames game at the Saddledome in a private box! Of course, I had no idea there would be a live feed on the Jumbotron for part of the ceremony. That evening I received countless text messages from people who saw me on TV – it was very funny! Another ceremony that comes to mind took place on top of a mountain. Our little group flew to the summit in a helicopter, only to realize that the flowers were accidentally left at the hotel! We waited in the wind for an hour until the flowers arrived, looking over our shoulders for bears and other lurking wildlife! In the end, everything worked out beautifully and it was a very special event to be part of. JR: What is your favourite part about marrying people? I have a few favourites! When I see a bride walking down the aisle with her dad, it always chokes me up, as I’m very close with my own father. I also adore meeting the couple who are so clearly best friends, or the couple who have been through it all and overcome obstacles together. It’s wonderful meeting family members before the ceremony and during the signing too; I love that part. JR: What is your process for getting to know the couple beforehand? 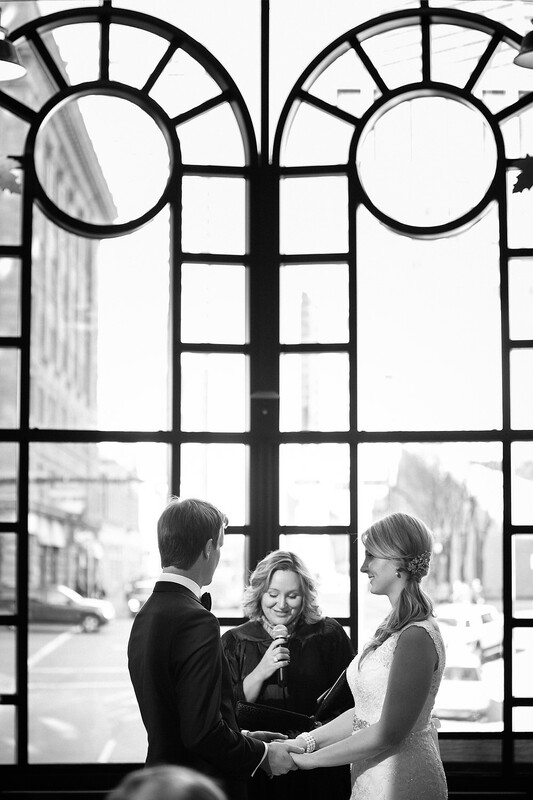 I like meeting couples in person before the wedding day, as many times as they need to feel comfortable. For couples that live remotely, I organize a video chat via Skype, FaceTime, Zoom, etc. It’s very important that couples feel confident, prepared and ready for their marriage ceremony. My role is to coach and guide them and ensure they are present, smiling, and able to take in their big moment! JR: In the past you've advocated for marriage equality in the LGBTQ community. Can you tell us more about your experience doing this? In the past, I’ve pushed to have the Alberta Marriage Registrar change the verbiage from assumed gender to “spouse.” I am extremely sensitive to marriage ceremony verbiage and always make sure couples are comfortable with the pronouns used. I believe that gender is irrelevant in a marriage ceremony (or anywhere else for that matter). When two people choose to be married and commit to spending their lives together, then we have a wedding. It’s as simple as that! Love is love.